The ritzy price tag may not surprise you. The massive Evermay Estate will soon have new residents. 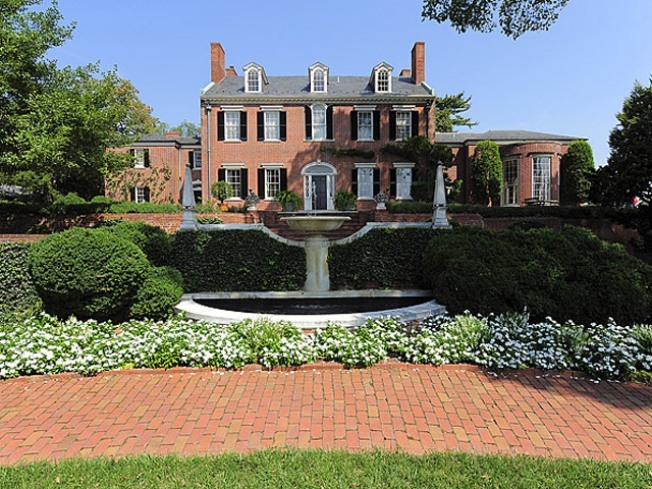 Georgetown lives up to its upmarket name following the sale of one of its most expensive homes. Price tag? A hefty $22 million (with a discount), according to Urbanturf.com. The Evermay is well-known to historians. Set on more than three acres, the estate was one of the first homes built in Georgetown in 1801 and is mentioned as part of Georgetown’s Historic District under the National Park Service’s National Register of Historic Places. The home, located at 1623 28th street Northwest, is also just a short walk away from the historic Dumbarton House. Oprah was rumored to possibly buying the historic house for nearly $50 million, but without a buyer the home had mainly served as a gathering place for private parties and events. The home’s newest owners are reportedly biomedical professionals, according to DCcurbed.com.